Yes. This is a vegetarian dish! Did not think I was capable? Oh I am. I just choose not to eat this way very often. I paid my vegetarian dues a long time ago but! That said I am trying to incorporate more legumes and vegetables into my diet. My sisters and I were talking about “the bowl” craze going on in the food world right now and mentioned Pick Up Limes. 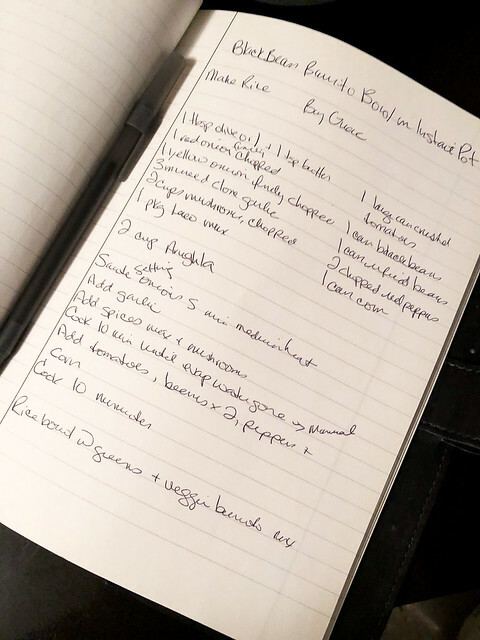 Sadia is a Canadian health-focused foodie and I must admit her recipes looked great. I wondered if they were so good that they would make me consider being a vegan! I decided to try her Burrito Nourish Bowl with Creamy Guacamole. Turns out the recipe ended up more of an inspiration than a recipe review because I made a ton of changes. Completely unintentional but I should realize by now I can not seem to follow anyone’s recipes anymore. I need to create my own but I do appreciate the inspiration! 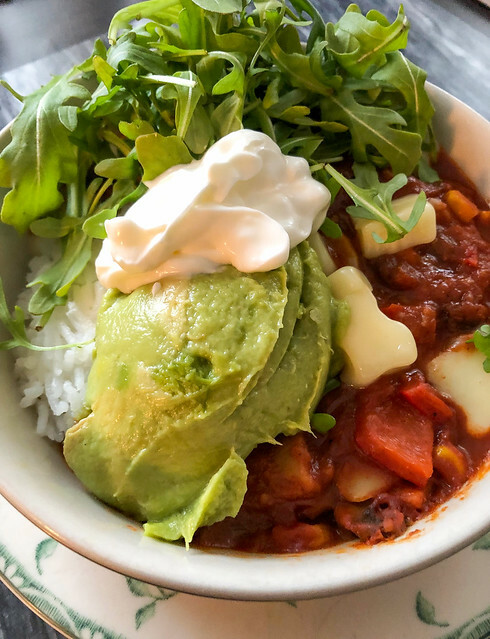 Please note I do make this in the Instant Pot but it is not necessary to make this dish! 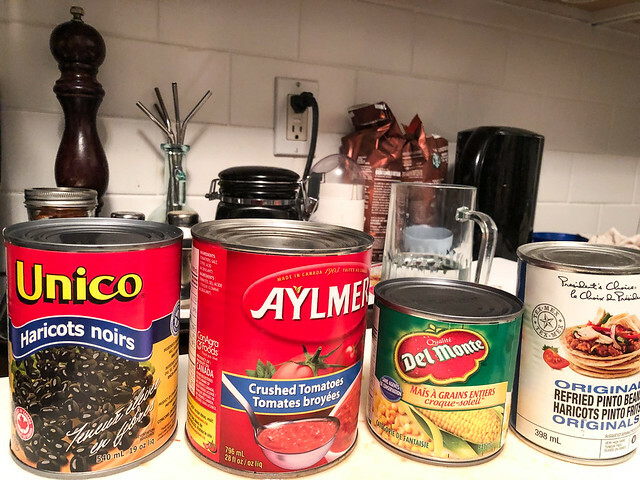 You will need: 1 tbsp olive oil, 1 tsp butter, 1/2 finely chopped red onion, 1 finely chopped yellow onion, 3 minced cloves garlic, 2 cups sliced mushrooms, 1 pkg taco mix, 1 large can crushed tomatoes, 1 can black beans, 1 can refried beans, 2 chopped red peppers, 1 can of corn, 2 cups arugula and sour cream for garnish. To serve: Make rice and your favourite guacamole product or recipe. 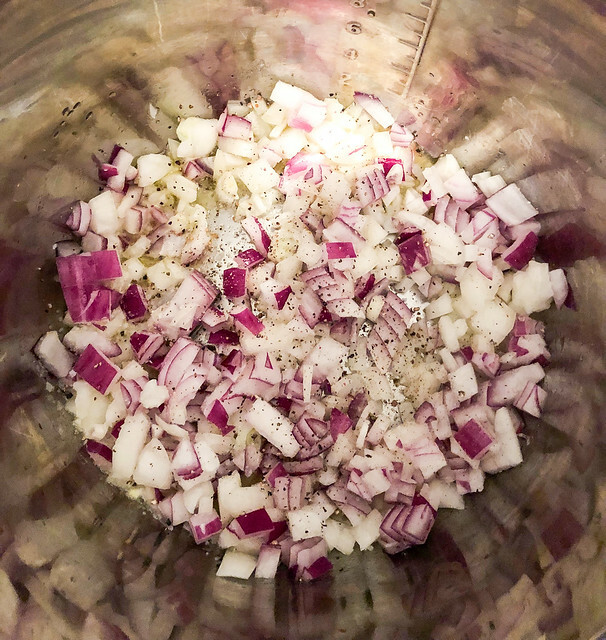 Sauté onions over medium high heat in olive oil and melted butter. Season with salt and pepper. Add garlic. Stir 30 seconds. 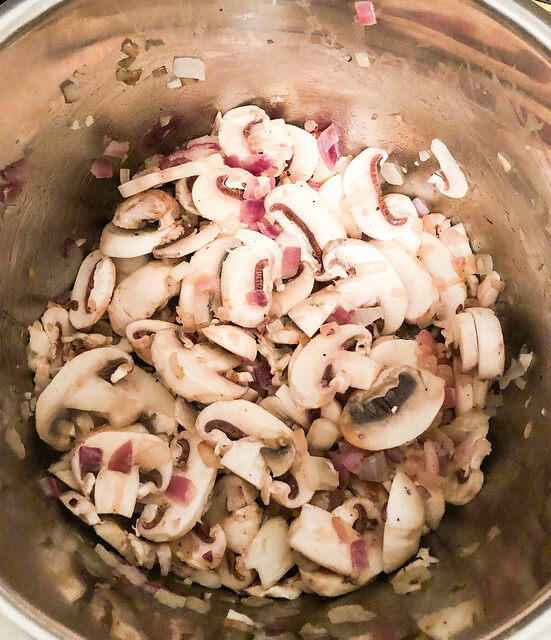 Add mushrooms and cook 5 minutes. 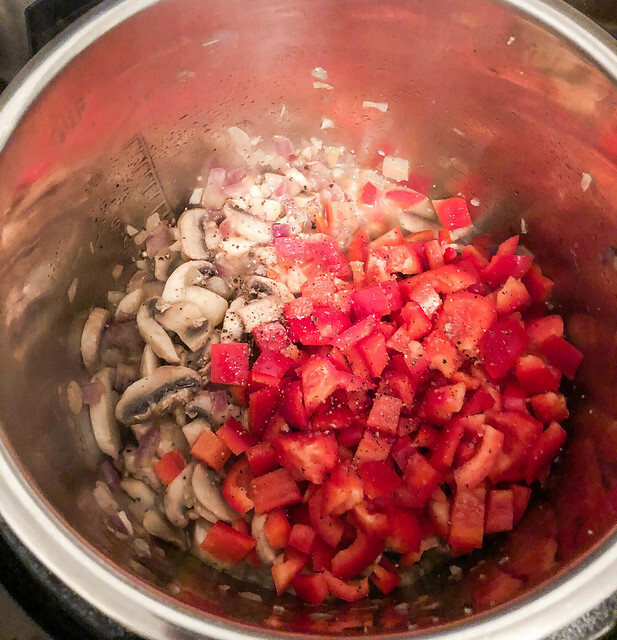 Add red pepper, season and cook for 5 minutes. 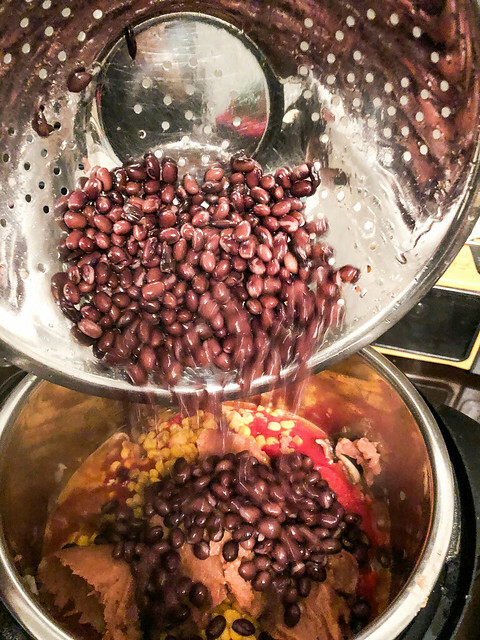 Prepare your black beans. ALWAYS rinse and drain well! 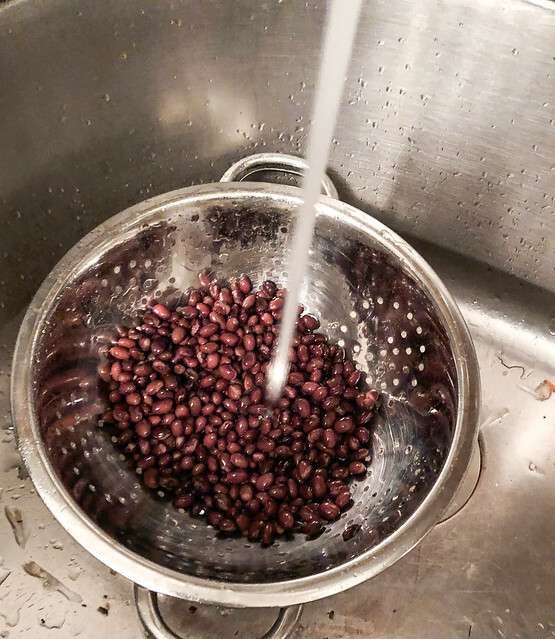 One of the biggest issues with vegetarian food is that it can upset the stomach and I promise if you rinse your beans, your stomach will thank you. Silently. 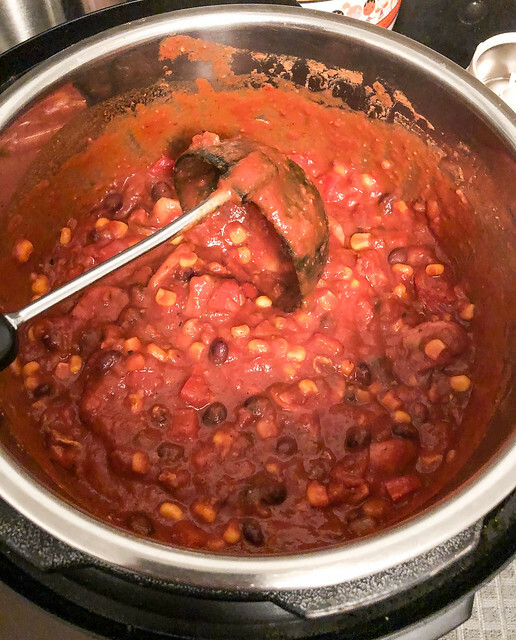 Add refried beans, black beans, tomatoes and corn. 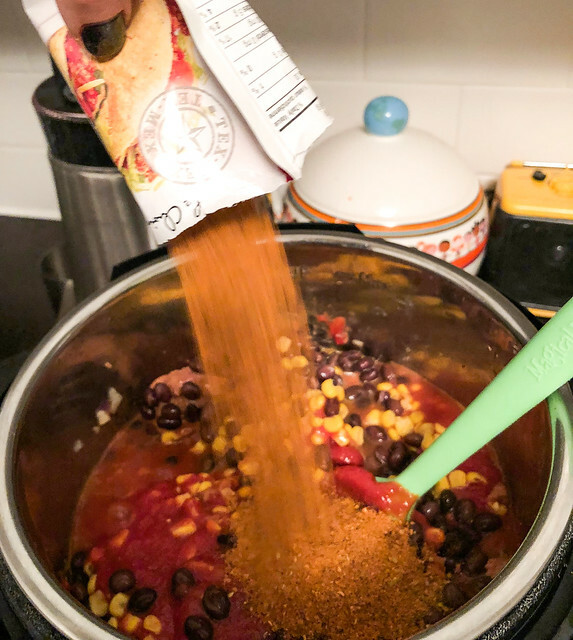 Finish with the taco mix seasoning. Stir it altogether. 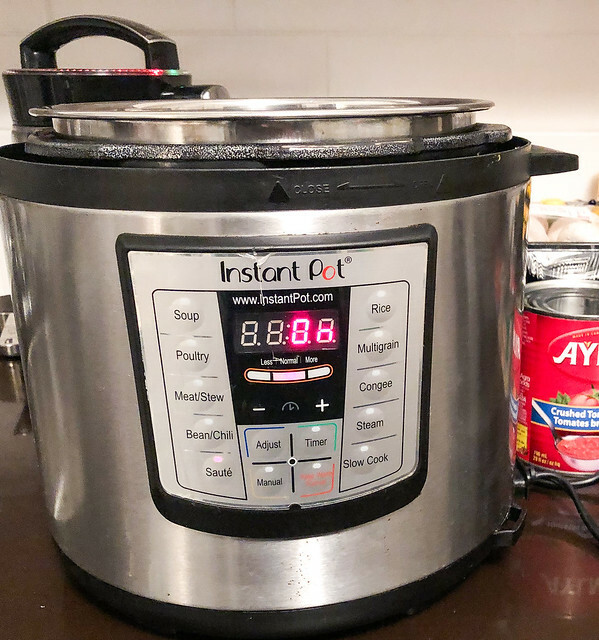 For a pressure cooker, cook on medium pressure for 10 minutes. 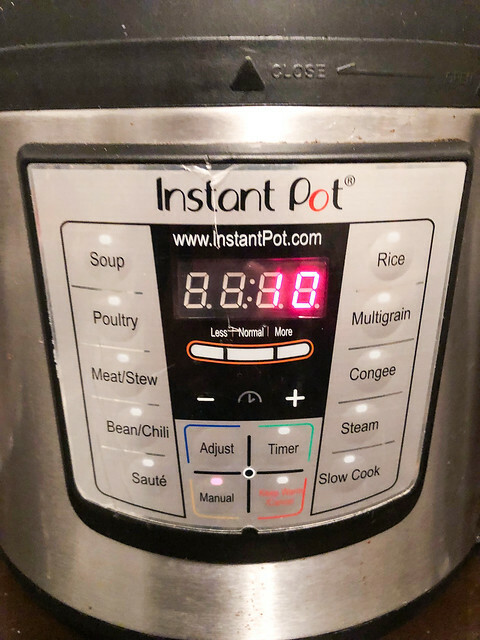 For cooking on a stovetop cook for at least 20 minutes. Nestle some of the hot rice on one side, the burrito mix on the other, top with guacamole, sour cream, cheese… (whatever you want) and work in some of the arugula. 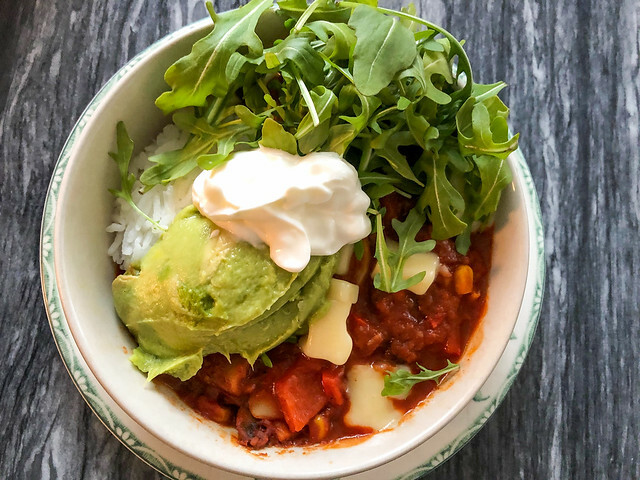 We were shocked at how well this all went together, especially the arugula which added a freshness and crunch to the burrito bowl that was incredibly rewarding. I can see why people are jumping on this bowl craze. It feels comforting as well as nourishing. I did not think I would like the differing temperatures of food together but it was surprisingly fascinating to eat. We all LOVED it! Well I am no closer to being vegan than before (life without sour cream? I don’t think so!) but at least this is vegetarian! Healthy, delicious, intriguing, easy to make… Pick Up Limes definitely has inspired me to take on another one of her recipes to help bring super healthy ingredients into my life and stomach. A little bit of warmth and nourishment is exactly what I need right now!